Hannah's university journey has given her the opportunity to network, volunteer and gain a well-rounded experience of psychology. 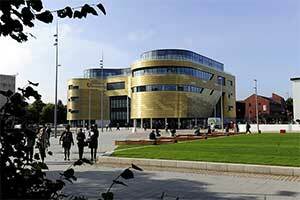 I would definitely recommend Teesside University. The newly refurbished library is a brilliant place to study and accommodates a variety of different learning styles. 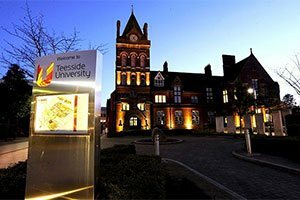 Why did you choose to study Psychology at Teesside? Studying on a higher education course has always been an ambition of mine. I find human behaviour interesting and I chose psychology to gain an understanding of the underlying cognitive, biological and social elements that contribute to an individual’s behaviour and actions. A psychology degree is highly valued by employers and applicable to a variety of positions in the work place. What have you enjoyed about the course? My favourite module was Theoretical Approaches to Forensic Psychology. I developed an understanding of why offenders commit crimes and the psychological underpinnings of their criminal behaviour. I always looked forward to my lectures and seminars, as the content was always interesting. The staff are very supportive and enthusiastic about the subject, which is inspiring and encouraging. What do you think about the campus and the services offered? The campus is very attractive and modern and there is a great range of services available. The careers service offers useful advice and support, from writing CVs, planning for an interview and looking for potential jobs in the area. The Students’ Union is a brilliant place to meet and make friends – by joining a society, getting involved in events or simply meeting friends for food and drinks. The surrounding shops, clubs and cafes tend to have appealing deals for students and the cost of living is low. 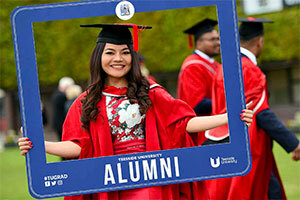 As a mature student with a family and other personal commitments, being offered a scholarship and bursary to study at Teesside was very attractive. It relieved a lot of the financial worries I had considered. Have you done any work placements whilst at Teesside? I work as a paid student research assistant through the Student as Researcher scheme. I investigated patients’ experiences of mental health facilities. My research was published and recommendations were provided to service providers. This was a truly amazing experience, I was able to apply the academic knowledge I had learnt through my studies to real world situations and gain valuable practical skills. I also won first prize for my research in a competition at the university and was fortunate to present my research at the houses of parliament. I’m working as a researcher again this year, researching patients with neurological conditions and experience of self- management and hope to have my work published again. Are you a member of any clubs or societies or involved in any volunteering programmes? I’m chair of the Psychology Society at Teesside University. 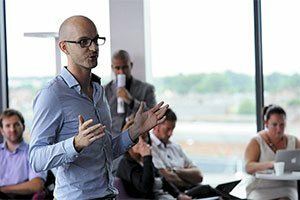 We organise attending external academic events, giving member’s extended knowledge of psychology and the opportunity to network. Since chairing the society we’ve won two awards from Teesside University Students’ Union. It’s also a great way to socialise with individuals with similar interests. I have been involved in a number of voluntary positions including resilience focus groups, RAISE committee member and a therapeutic care volunteer at James Cook University Hospital. I am also the course representative for my year group. Volunteering has helped me build networks with others in the field, enhanced my understanding of specific areas as well as boosting my confidence. I would definitely recommend Teesside University. The newly refurbished library is a brilliant place to study and accommodates a variety of different learning styles. 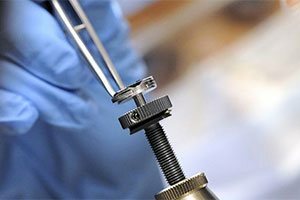 Overall, the courses are well structured, interesting and tutors are supportive. My university journey has given me the opportunity to network, volunteer and gain a well-rounded experience of psychology. My career ambition is to be a Clinical Health Psychologist. After my degree I hope to gain further practical work experience and then progress to a doctorate in clinical psychology at Teesside University.